Avadim Hayinu. The Haggadah says, “We were slaves,” not “our ancestors were slaves.” In doing so, the Passover text commands us to be ever present in our Exodus story. Our slavery, liberation, and wandering as strangers in a strange land is recounted at our seder tables through readings, songs, and holiday foods. We experience not only the pain of slavery and persecution, but also the relief and joy of freedom. While reliving our past, we also create a personal motivation to examine our world today and see the injustices, the persecution, and those who are in need of help, the strangers in a strange land. Our Exodus narrative is one that I replayed as I joined 19 other rabbis and cantors in March for a two-day experience organized by T’ruah: The Rabbinic Call for Human Rights, and HIAS, the Jewish community’s leading refugee advocacy organization. We traveled to our southern border, visiting El Paso, Texas, and Ciudad Juarez, Mexico, to bear witness to the unfolding immigration crisis and to meet strangers who are in a strange land. Lawyer and immigrant activist Carlos Spector told us that once they have their court hearing, 90-95 percent of all Mexican and Central American asylum claims in the El Paso area will be denied. I felt the pain of our Exodus story as I saw men yearning to be free, waiting for justice. We attended a court hearing at the El Paso federal courthouse. A Salvadoran mother had recently crossed the Rio Grande with her two young children. She stood before a judge waiting to see if she would be reunited with her children or if she would continue to be detained. The judge confirmed her continued detention. Her children would remain with her sister in Houston. I felt the sorrow of our Exodus story as this woman’s tears flowed upon realizing that she would not be reunited with her children anytime soon. We visited El Paso’s Annunciation House, an organization that unites faith-based organizations to provide newly released detainees with shelter, food, clothing, and transportation until they are able to reunite with their families across the United States. I felt the hope of our Exodus story as those seeking asylum readied themselves to reunite with family members across the country. At the southern border our Exodus story is unfolding — one for which we can help write the ending. There is a humanitarian crisis as thousands come across the border daily with limited access to lawyers and due process. My trip with T’ruah and HIAS opened my eyes and heart to this emergency and the need to exercise compassion as part of our country’s immigration policies. We have the responsibility to support NGOs and religious organizations that are on the front lines and assisting those in detention, freed from detention, and seeking to make a new life in America. We can donate to organizations like Annunciation House in El Paso and Jewish Family Service of San Diego, which run emergency shelters for asylum seekers. And we need to make sure that those seeking asylum have access to translators and lawyers and receive due process in our court system. To support this, HIAS is looking for attorneys to join pro bono delegations to the southern border. We also need to support Jewish organizations like T’ruah and HIAS that are leading the Jewish effort to help. Avadim Hayinu — We were slaves. As Jews, we understand this intimately, also being aware that we cannot be free until all are free. Hearing the stories and acting to support these asylum seekers gives renewed meaning to the Exodus story this Passover. 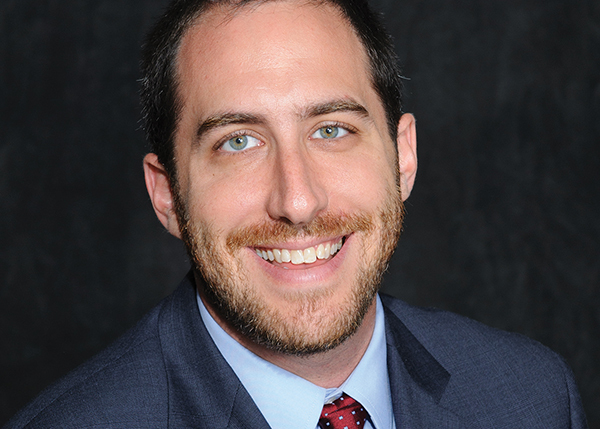 Rabbi Ethan Prosnit is associate rabbi at Temple Emanu-El of Westfield.